If you’re searching for garage door installation services in the greater Charleston, South Carolina, area, look no further than 31-W Insulation. 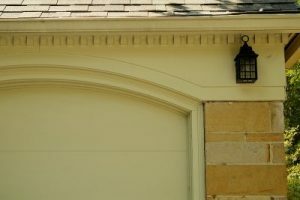 We are your source for top-of-the-line garage door products that we can professionally install on your home. With more than 40 years of experience and an A+ rating with the Better Business Bureau, 31-W Insulation can take care of all of your garage door needs. Exceptional service – We’ll start with a free consultation at your home to discuss your garage door needs and go over your options. We can also provide a price quote based on your selection. A wide selection of garage doors – Our doors come from the trusted manufacturer Amarr® and can be customized to suit just about any aesthetic preference. You’ll be able to choose from many different styles, colors, window panels, and decorative hardware to make your door stand out. And, no matter which options you choose, your door will be durable, low maintenance, and energy efficient. Precise installation services – Our garage door installation team consists only of our own fully trained employees, who possess the knowledge and experience necessary to ensure your door will be installed properly the first time. With our selection of top-notch products and professional installation services, you’ll be sure to find the options you’re looking for. To learn more about the garage door installation services we offer in Charleston, SC, contact 31-W Insulation today. We will be happy to answer your questions and schedule your no-obligation consultation.